but will surely not be forgotten! Almost a hundred breed fanciers from no less than 23 countries joined for almost two days and made a dive into the history, the present and the future of our wonderful breed. Under the subtitle 'back to basics', the congress program offered also a look back, compared and showed how people dealt with the available material; then and now. The congress committee thanks all those many participants who expressed their gratitude and placed very positive comments about the organization, be it about the congress venue, the program and its speakers, the hotel & food or the side events. 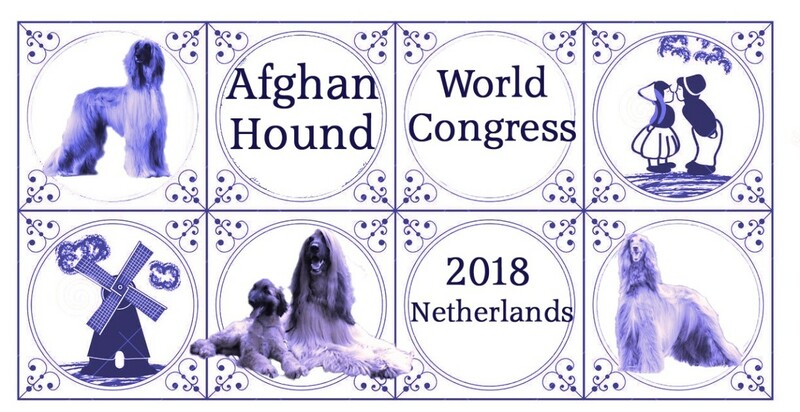 Every participant, welcomed by AHWC-banners, received during their registration a congress bag with typical Dutch treacle-waffles in a metal box with congress print and a nice documentation map providing all necessary information concerning the congress. When, during the congress in 2014 in Padenghe/Italy, Dutch NVOW was selected as organizer for the congress in August 2018, the time to prepare looked long. But as one says: "Time goes fast" and that was very true, especially in hindsight but it was -after all- a pleasure and rewarding as well. It was an honour for us to have you in the Netherlands. The global congress committee is already working on a new edition and we hope to see many of this year's participants ánd new faces at that upcoming world congress. Copyright © 2016 - 2019 Designed by Wiebe @ N.V.O.W.